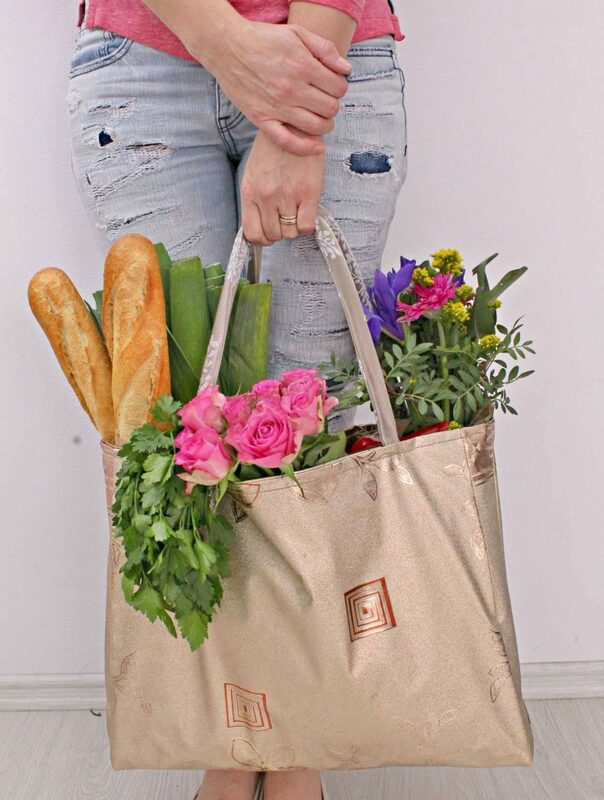 Go shopping for groceries in style! 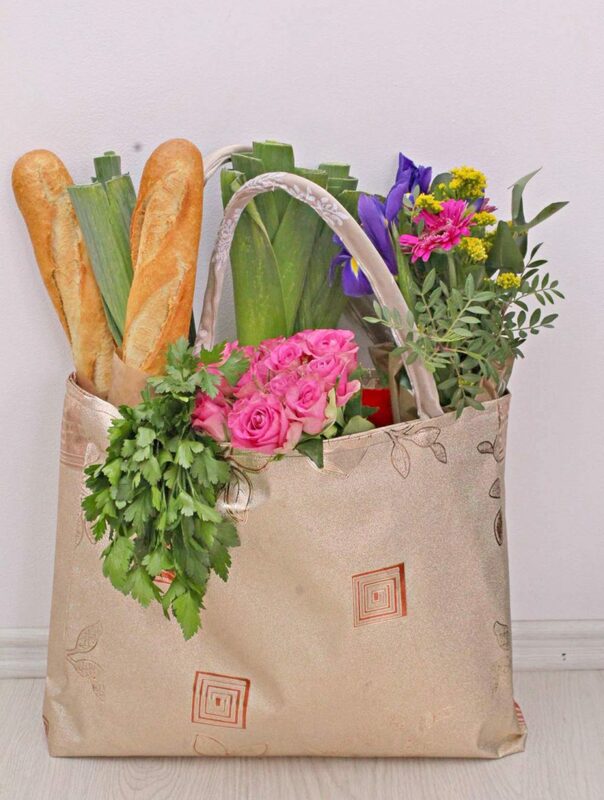 With this easy peasy grocery bag pattern, you’ll get to make your own awesome tote bag! 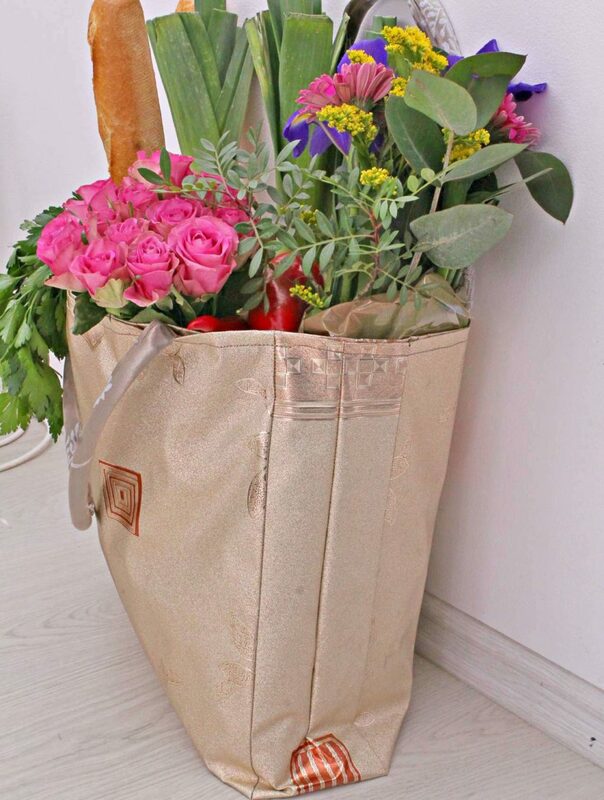 This shopping bag pattern is personalized for your style and needs, is sturdy and super strong so you can safely carry lots of groceries. 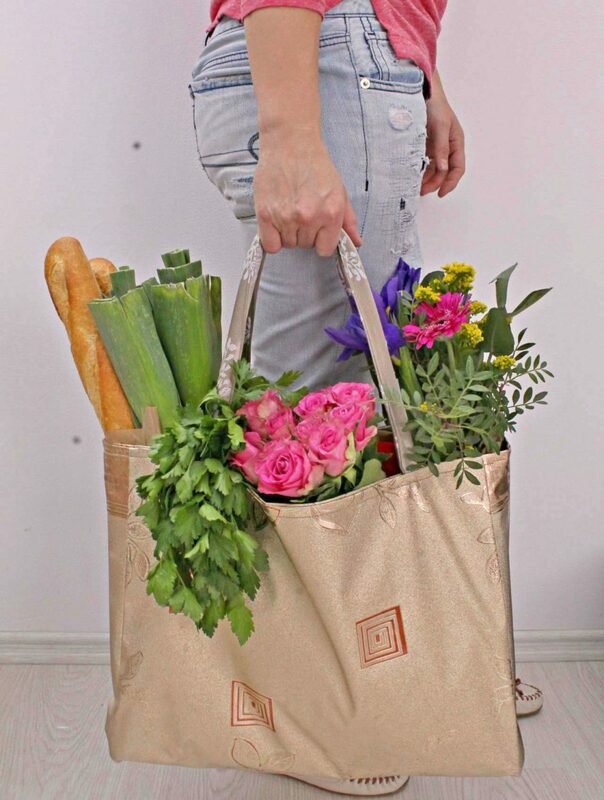 This gorgeous vinyl bag comes together real quick too so this easy grocery bag pattern is a fun project that even experienced sewers will enjoy making! 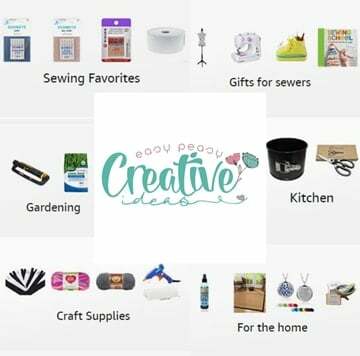 Vinyl might sound like an intriguing type of fabric and hard to sew with but if you prepare yourself a little in advance, it’s all easy breezy. If you’re new to sewing vinyl bags, you might want to read this article on tips for sewing vinyl first; it makes a huge difference in the quality of your projects and has a big impact on how fast and accurate you’ll sew with vinyl. My simple and easy grocery bag sewing pattern will help you make a super duper bag that is not only reusable and reversible but easy to clean too; vinyl is probably the easiest fabric to clean ever! Just wipe down with a damp sponge followed by a quick wipe with a dry cloth. But most importantly, no one will have the same bag as yours because it’s unique and totally you! I wanted to make this grocery bag pattern a super easy and quick sew so I didn’t add any pockets and didn’t box the corners. But feel free to add any or both of these features to suit your personality and needs. 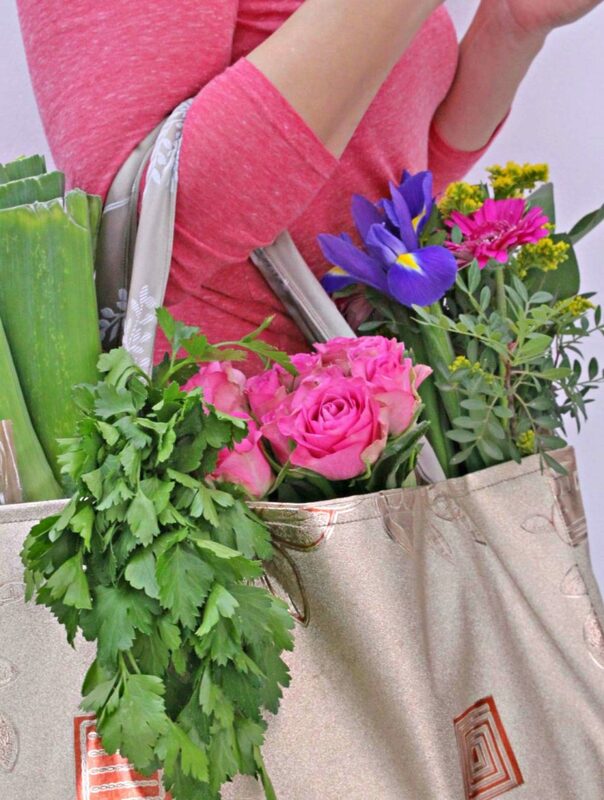 I also made this reusable market bag a little bigger than a regular grocery bag. I tend to buy lots of groceries and some end up being squashed because there’s not much room in there so this tote bag is so useful for me. This bag is reversible so you’ll basically get to wear two bags in one and switch the bags which ever way strikes your fancy whenever you feel like! It also features panels on the sides so it’s expandable to accommodate all of your groceries! 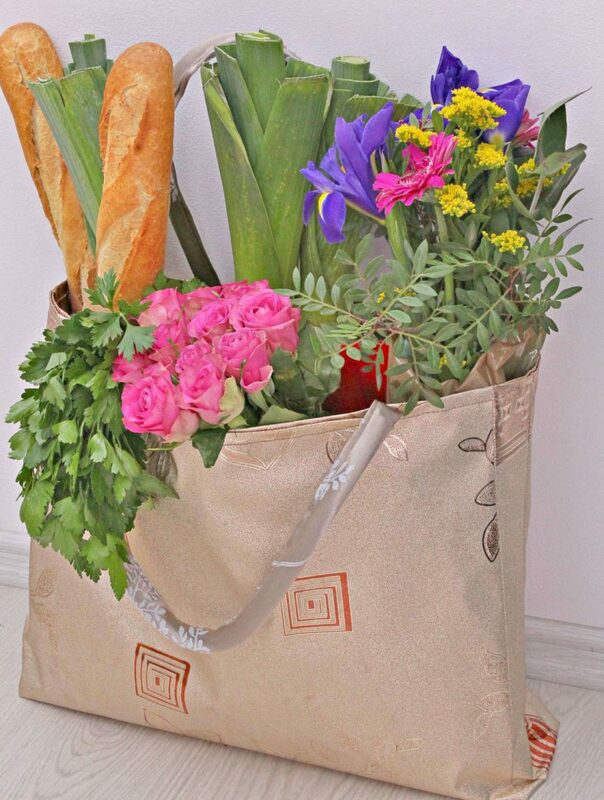 So many great features that will make this grocery bag pattern your favorite! 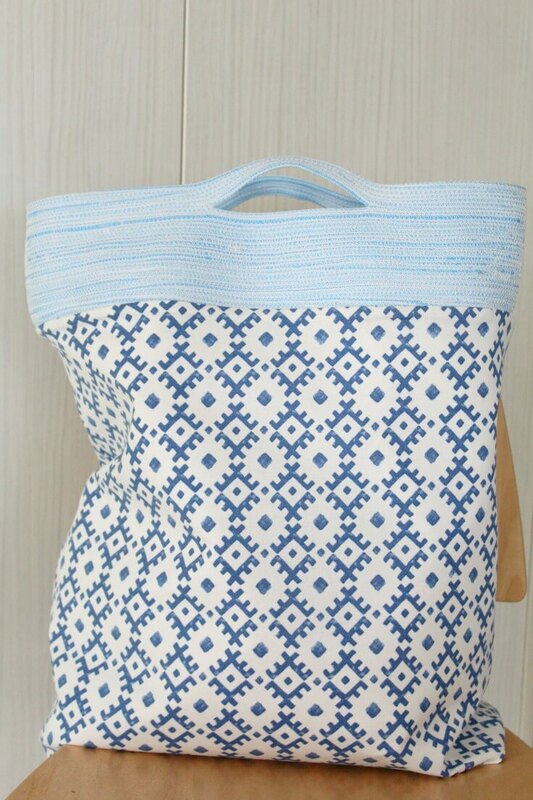 The pattern for this bag is super simple so I’m not attaching a printable pattern, you get to make your own. BUT! If you happen to run into an issue and can’t make your own, please let me know. I’ll make a scan and send it over. Here’s how it should look after you make your own. 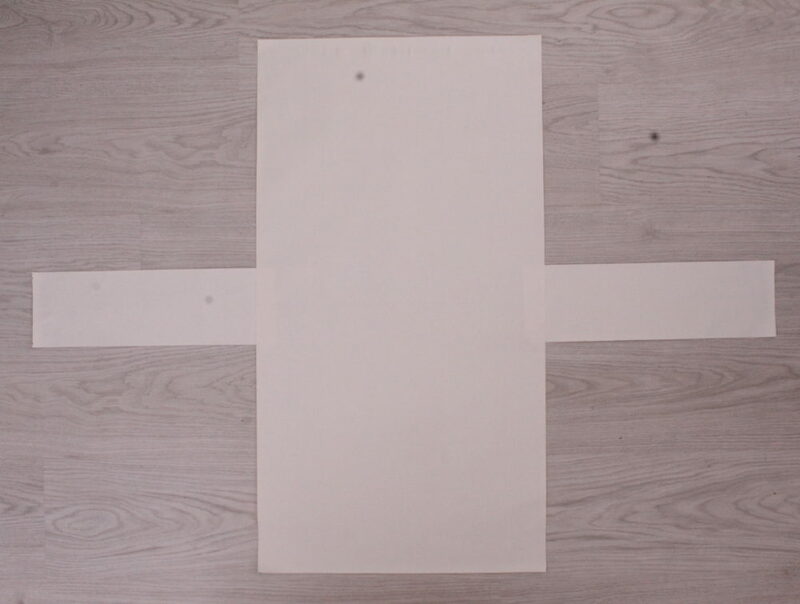 Make you pattern as follows: cut a large rectangle of 33″ by 18″ then 2 small rectangles of 14″ by 5″. Looking at the long sides of the large rectangle, find their middle. Looking at one of the short sides of the small rectangles, find the middle. Match this middle to the middle of the large rectangle on one side and tape together. Repeat for the other small rectangle and the other side of the large rectangle. Cut 2 pieces of vinyl fabric using this pattern. Cut the strips of the thick fabric for handles. At this point you might be wondering why can’t you use vinyl. Well, you can but vinyl is not stretchable and doesn’t fold nicely. So when the handles fold, they create lots of creases. Which in time will damage the vinyl, especially since handles get a lot of use. Now that your fabrics are ready, find the other middle of the small rectangles and fold rectangles in half. Use clips to keep in place. Take your fabrics to the sewing machine and top stitch along the middle line and stop 2″ before hitting the bag. Repeat for all small rectangles. With fabric wrong side out, clip small rectangles to the bag then sew down with 1/4″ allowance. Do not backstitch! If you like to, now you can also box the corners as indicated here. I chose to skip this part since the bottoms are sturdy enough thanks to the double layers of heavy vinyl fabric. Repeat for both bags then turn only one of them right side out. Do this as quickly as possible to avoid permanent creasing, pushing corners out with your fingers. Measure about 1″ down the top of each bag and fold the top inside (towards the wrong side of the fabric). Clip to keep in place and finger press along the top. Make the corded bag handles as indicated here. Remove the clips on both bags. Then take the bag with the wrong side out and slide it inside the bag with the right side out. Clip together at the top, making sure the seams and sides are matching perfectly. 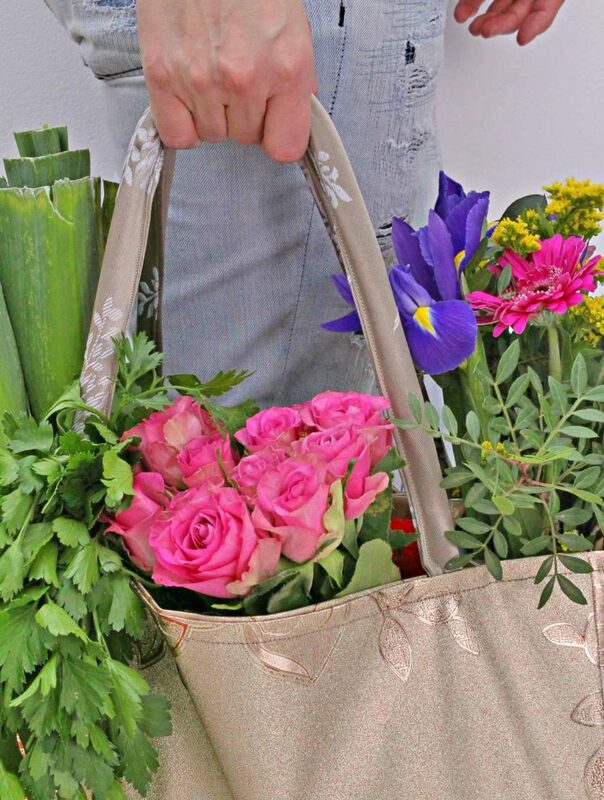 Measure about 4″ from each side of the bag and slide the handles in, between the 2 bags, then clip. 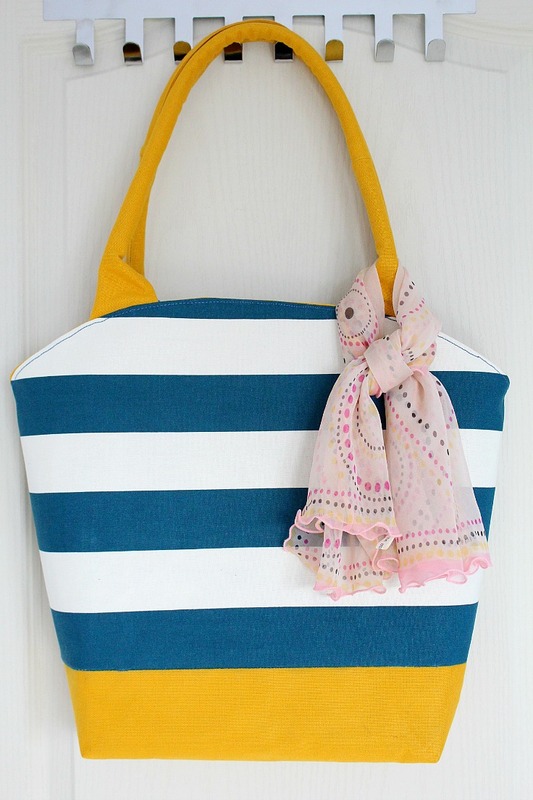 Take the bag to the sewing machine and sew down along the top with 1/4″ allowance. Sew slow over the bulky seams at the sides. And you’re done! Your reusable vinyl tote bag is ready to go shopping with you!